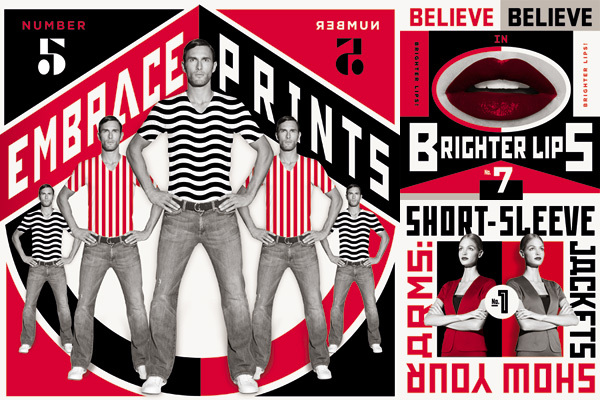 I hadn’t seen these yet, but NOTCOT has the high-res images of Shepard Fairey’s Studio Number One artwork for Saks Fifth Avenue’s Spring ’09 I Want It! campaign. I have an affinity for Russian art so I find these…kind of out of place at Saks. Not sure I get where they were going with this one. Shopping and Communist propaganda? I’m not really seeing the connection here. Thoughts?